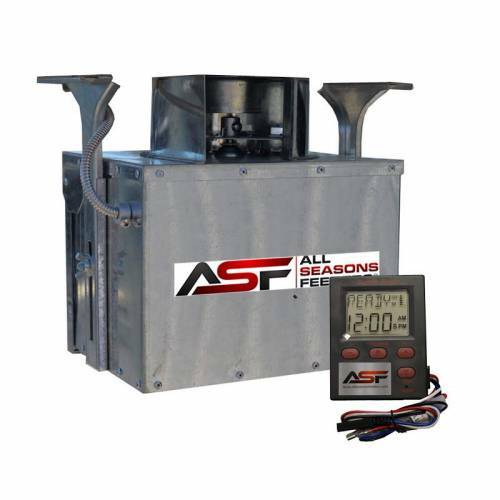 This directional 12v unit feeds in one direction making it perfect for a dock or bank feeder. Just add to your own barrel and you have a complete automatic fish feeder. Mounts flush to the hopper alleviating the need for a drop funnel.